Accor – Newsroom | Fairmont Hotels & Resorts unveils exciting restoration projects at the most historic, iconic properties in North America. 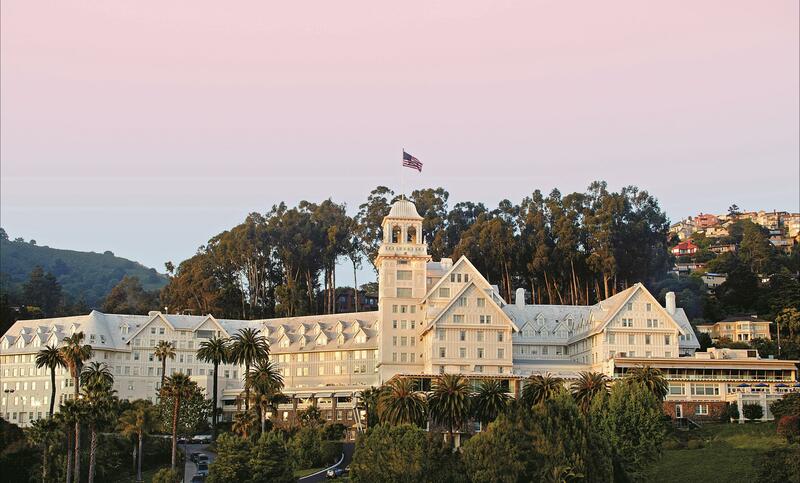 Fairmont Hotels & Resorts unveils exciting restoration projects at the most historic, iconic properties in North America. NEW YORK CITY, May 2016 – Fairmont Hotels & Resorts has long been a pioneer when it comes to operating many of the world’s most historic and culturally significant landmarks. With more than 70 hotels in key markets globally and even more in development, twenty-five percent of Fairmont’s luxury hotel collection dates back more than a century. As an internationally recognized leader in the stewardship of these heritage icons, Fairmont has made a commitment to the careful restoration and preservation of many of its grand hotels worldwide, and in partnership with its committed owners, the brand has helped renovate or restore more than eighty percent of its North American portfolio over the last few years. Below, Fairmont shares news of the brand’s most notable restoration projects across North America. 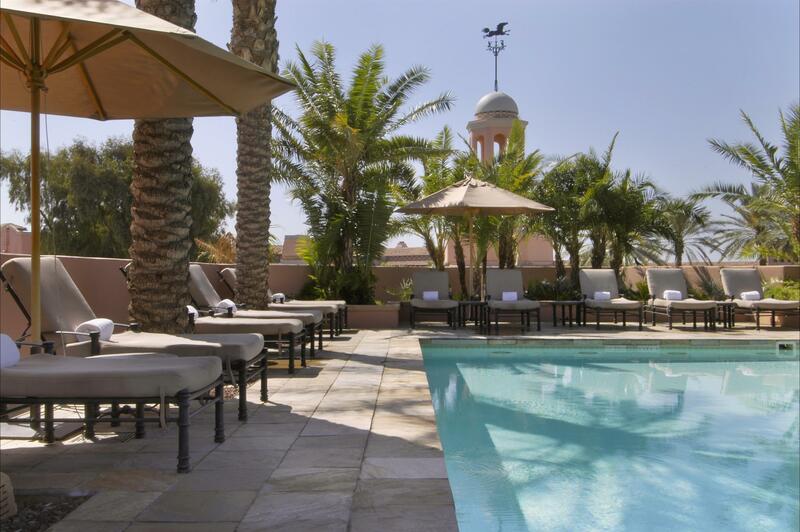 In December 2015, Fairmont Hotels & Resorts welcomed the renowned Claremont Club & Spa, A Fairmont Hotel to the company’s unrivalled collection of iconic hotels. Built in 1915 and completely restored in 2015, the Claremont sits in the Berkeley and Oakland Hills overlooking the San Francisco Bay and offers 276 guestrooms and suites, handsomely updated by global design firm Gensler, including a luxurious new Presidential Suite; an impressive club and spa, complete with kids’ pool, tennis and fitness center; and an unparalleled dining portfolio, anchored by Antoinette, the hotel’s new modern, French brasserie. Meeting and social event planners now have access to 20,000 square feet of meeting space, including a number of meeting rooms with spectacular Bay views. 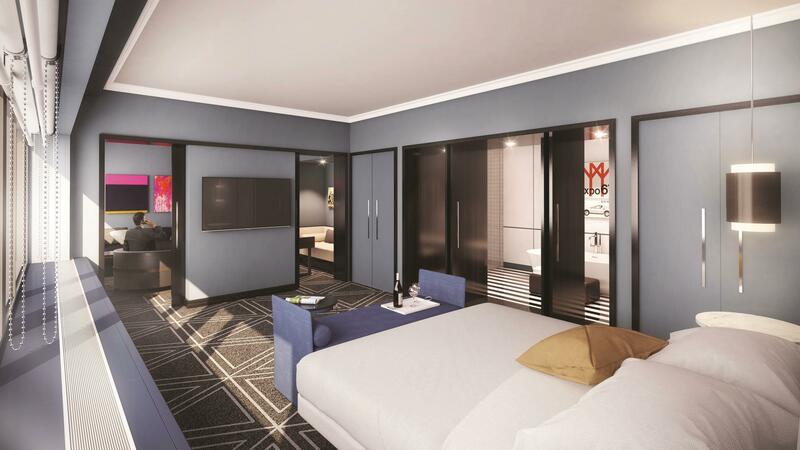 Following the multi-million dollar capital investment project, the majestic hotel is now poised to continue its rich legacy into the next millennia. 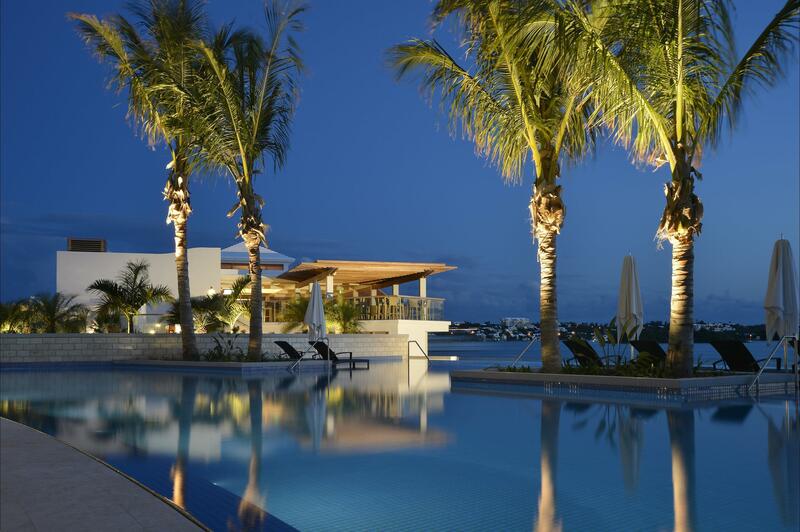 Hamilton Princess & Beach Club, a Fairmont Managed Hotel, Bermuda's iconic harbor side resort, will celebrate the completion of the third and final phase of its $100 million restoration in June 2016. During the two-year process, the 400-room property has been completely transformed including the addition of 43 sleek new guest suites designed by Botelho Wood Architects; a 5,400 square foot exhale flagship spa, gym and boutique fitness studio; a private beach club; a harbor-side infinity pool; and a state-of-the-art 60-berth marina. Three new culinary offerings include Bermuda’s first and only celebrity-helmed restaurant, Marcus’, a 3,000-square-foot open-air venue led by internationally-acclaimed Chef Marcus Samuelsson; 1609 Bar & Restaurant, a harbor-side cocktail bar and grill situated on the hotel’s new marina; and Crown & Anchor, an informal immersive dining experience for breakfast, lunch, dinner and afternoon tea. Fairmont The Queen Elizabeth will close its doors in mid-June 2016 to commence a major renovation project planned by Ivanhoé Cambridge and Fairmont Hotels & Resorts. Ivanhoé Cambridge will invest Cdn$140 million to transform Montreal’s preeminent downtown hotel experience, scheduled for reopening in Summer 2017. All common areas and about 500 guest rooms will be ready for the celebrations marking the 375th anniversary of Montreal and the 150th anniversary of Canadian Confederation. The full completion in December 2017 will unveil additional suites; expanded Fairmont Gold rooms and lounge; an inspiring new business hub and meeting space; new signature bar, restaurant and urban market; a wellness center and indoor pool; an outdoor terrace; and a vibrant lobby event space. Fairmont Scottsdale Princess continues its next phase of expansion. Currently with 648 guest rooms, on Memorial Day weekend 2016, the Princess will open an additional 102 new guest rooms for a total of 750. This expansion includes Sunset Beach pool, Sunset Lawn and a new Western town event venue. Sunset Beach will be the sixth and largest of the resort’s pools at 7,000 sq. ft., with zero-depth entry, a 9,000 sq. ft. white sand beach and splash pad. The Princess’ 1880s Western town has been relocated, expanded and re-named Copper Canyon for group events. A new group venue, Sunset Lawn will also be added as a large, landscaped grass area offering 35,000 sq. ft. of space for outdoor dining events, receptions and creative team building experiences. The resort also refurbished its 120 Casitas recently with all new décor, much of which was hand-crafted in Arizona, with modern Southwest with neutral desert colors, Chevron-printed ottomans, blown-glass, metal art and 55” televisions. 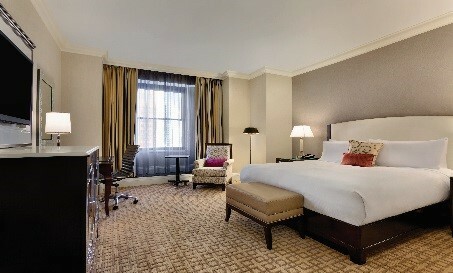 Fairmont Washington, D.C., Georgetown recently commenced a $27 million renovation of the 415-room luxury hotel. Phase I will encompass all guestrooms including the exclusive Fairmont Gold Floor and Gold Lounge, and the conversion of the executive forum amphitheater into a 2,900 square foot junior ballroom. The additional ballroom will increase group meeting capacity as well as add entertaining space for social events and weddings. Scheduled for completion in April 2016, Phase I will enhance the guest experience as well as the hotel’s position as the largest luxury group hotel in the nation’s capital. Designers Pierre Josselin and Ayten Nuhoglu of New York-based Wimberly Interiors garnered inspiration for the guestrooms from the city of Washington, D.C., conveying politics and power in the design. Modern furnishings are mixed with classical detail pieces, tables that double as a dining spot or a flexible working space, and art collections that reflect Washington’s history and importance, reinforcing Fairmont Washington, D.C., Georgetown as the central location for visitors and local power players. Fairmont Empress is excited to announce a two-year project to renovate all guest rooms, featuring modern luxury and upscale design inspired by Vancouver Island’s nature of gardens and the sea. Following completion of the Phase I renovations in late Spring 2016, the hotel will unveil a new Royal Suite and expand Fairmont Gold from 45 to 65 rooms and suites, adding a new Fairmont Gold Lounge & Patio, which offers guests a first and lasting impression of Victoria. Exciting plans are underway to update the Tea Room & Lobby Lounge and create a new harbor-side restaurant and bar in the heart of the hotel, embracing celebrated local products from Vancouver Island and leveraging the hotel’s expanded rooftop herb and vegetable garden. 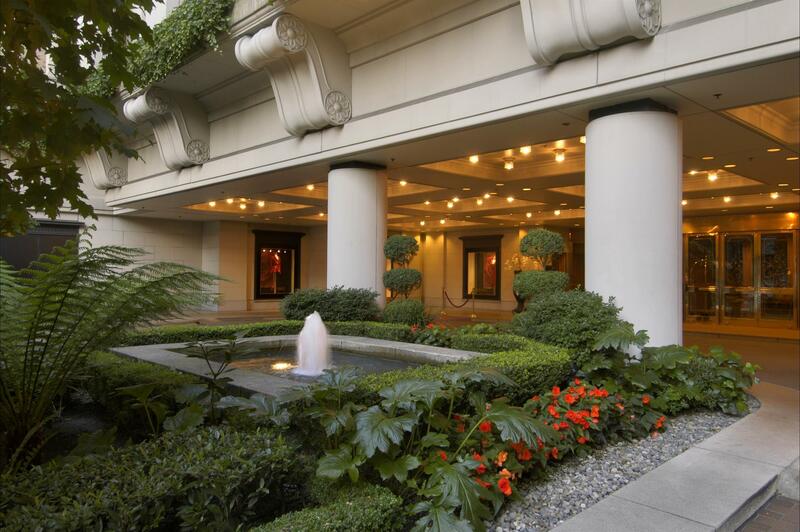 Starting December 2015, Seattle’s historic 450-room Fairmont Olympic Hotel began a $25 million renovation of all guestrooms and corridors, estimated for completion on July 1, 2016. The construction is being done floor-by-floor with a buffer floor above and below to minimize guest disruption. Parker-Torres Design Inc., who is responsible for the stunning renovations of Fairmont Copley Plaza in Boston and Fairmont Southampton in Bermuda, will be overseeing the project, creating a classic interior using grey tones and tourmaline accents combined with a modern twist to honor the 91-year history of the hotel. 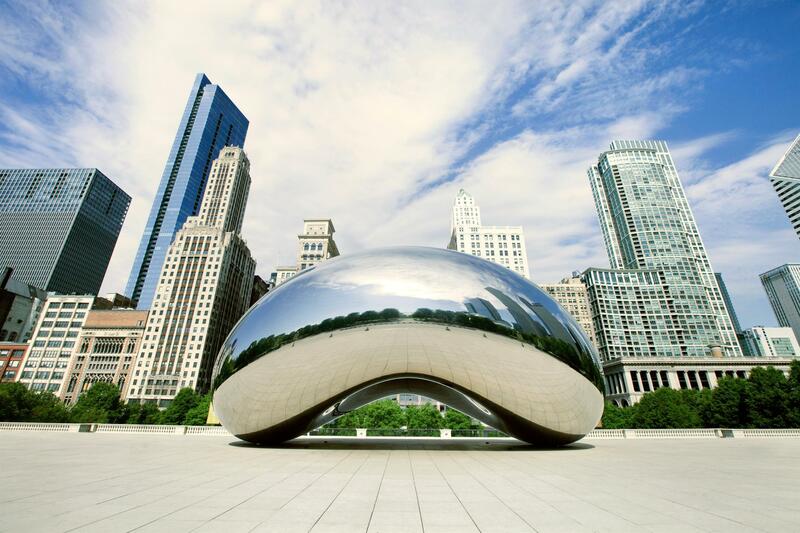 Fairmont Chicago is pleased to unveil a new quintessential Windy City tap house experience, Columbus Tap. Chef Atticus has created a fresh Midwest-focused menu that flirts with seasonal and regional ingredients, and pairs perfectly with the restaurant’s unique and extensive beer selection. Designed by San Francisco-based Puccini Group, the 120-seat restaurant and bar features modern framework and brass and blackened steel finishes inspired by mid-19th century architectural elements. Sofette lounge-style leather seating and a large communal table encourage a convivial and casual ambiance surrounded by distressed brick walls and modern saloon-style brass chandeliers. 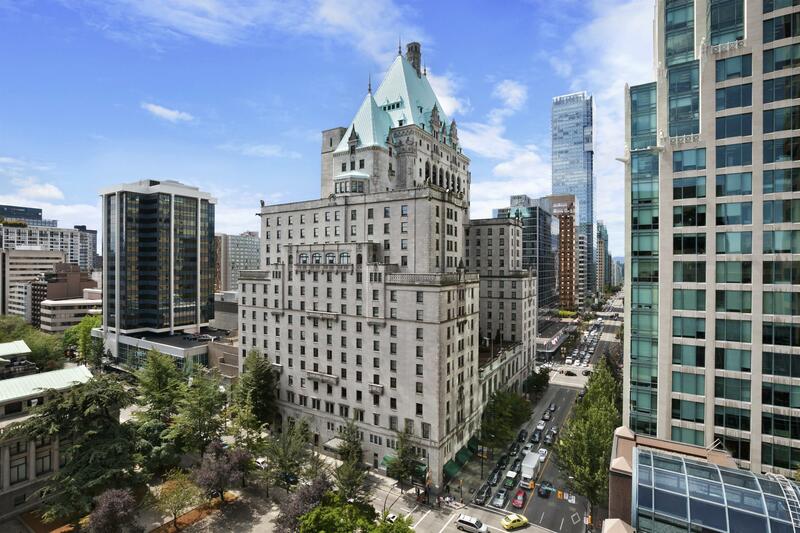 Vancouver’s “castle in the city,” Fairmont Hotel Vancouver has finished a $12 million investment which included the breezeway, restaurant, and completely renovated lobby to allow for additional retail space, which is now home to Canada’s only stand-alone Dior and Dior Homme Boutique. An additional two guestroom floors with full room and corridor transformations have been completed. The newly opened Notch8 Restaurant & Bar in the lobby embodies the timeless qualities of Fairmont Hotel Vancouver’s heritage, history and hospitality. Rich hues of color and warm woods mixed with brass details heralds back to a bygone era of grand railway hotels. Executive Chef Cameron Ballendine brings his global experience home, combining passion for local products with an international flair to create a menu of classic, simple and fresh food. Fairmont Royal York is proud to announce the completion of the latest phase of a multi-million dollar revitalization plan. A total of 910 Luxury and Signature Rooms across 11 floors are available for the comfort of guests, featuring modern design with timeless style. 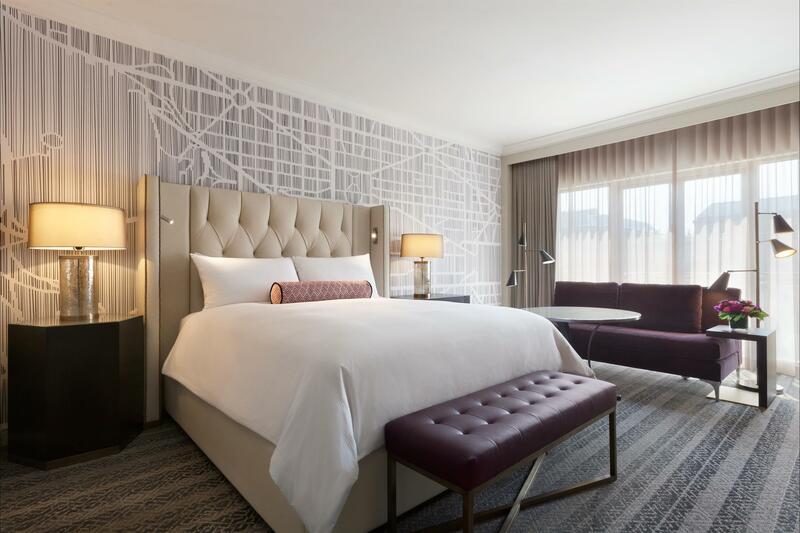 These newly redesigned guest rooms are a fresh, contemporary addition to the regal elegance that is synonymous with the iconic Toronto hotel. Sleek furnishings paired with brand new LCD HDTV’s and a smart “HVAC” ventilation system offer a more comfortable and sustainable stay. Additional updates include a newly renovated pool and health club complete with brand new exercise equipment; exterior revitalization; satellite iPad check-in during peak hours; paperless checkout; and digital path-finding monitors. With a newly revitalized Front Street and neighborhood at its doors, there has never been a better time to experience a brand new Fairmont Royal York. 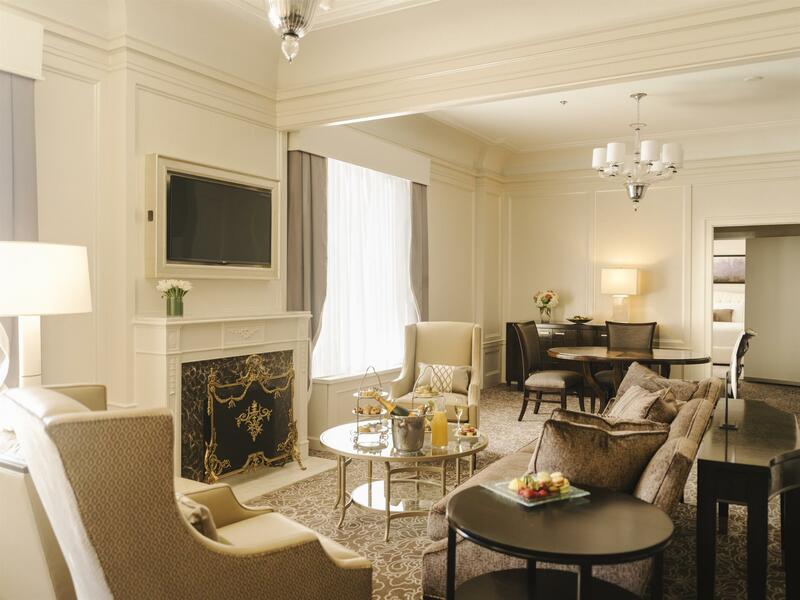 The legendary Fairmont San Francisco atop Nob Hill unveiled its five spectacularly renovated Specialty Suites following a $2 million update in May 2015. Each Specialty Suite offers a distinct, San Francisco-inspired aesthetic, and unique amenities for discerning guests seeking the ultimate in suite luxury, whether on a romantic weekend getaway, celebrating a special event or holding a business meeting. ForrestPerkins, a U.S.-based interior architecture and design firm that specializes in luxury and notable hotels, resorts, spas and multi-residential projects, oversaw this impressive endeavor, having also recently led Fairmont San Francisco’s comprehensive guest room and suite renovation last spring. Fairmont San Francisco’s 592 guest accommodations feature 62 Main Building and Tower Suites; these five Specialty Suites serve as the crown jewels along with the hotel’s world-famous Penthouse Suite. 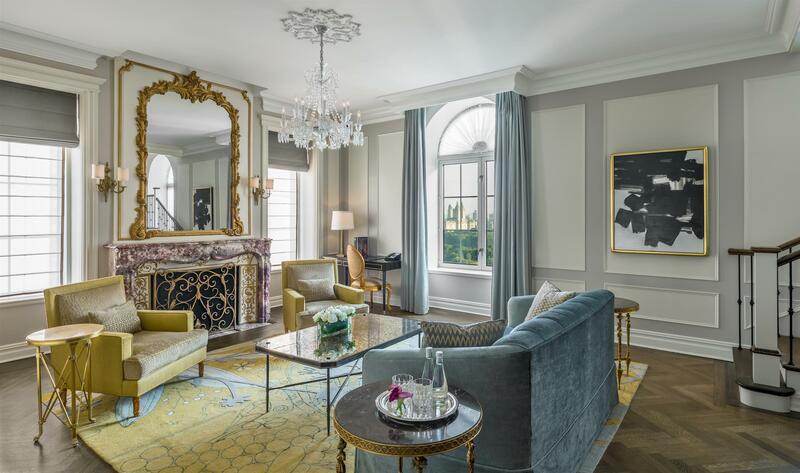 In June 2015, The Plaza, a Fairmont Managed Hotel unveiled The Legacy Suites, offering guests an unparalleled level of luxury in one of the world’s most iconic hotels. As the name suggests, The Legacy Suites pay homage to the rich history and heritage of The Plaza, and were designed to be evocative of an Upper East Side home. New York-based Champalimaud has redesigned each of the 29 iconic suites to feature contemporary décor with a tailored look that is simple and bright, yet elegant and timeless. Named for the iconic locations and celebrated individuals who have been part of The Plaza’s history, The Legacy Suites are firmly rooted in today with decor that is contemporary, yet complementary to the historic elements of the building. While the hotel is respectful of its storied past, The Plaza continues to evolve and The Legacy Suites are the newest page in its ongoing history book. Fairmont Le Château Frontenac, one of Canada’s most distinctive landmark hotels, completed a delicate and thoughtfully driven $75 million, lobby-to-roof restoration by owner Ivanhoé Cambridge in 2014. The Quebec City hotel’s 611 guestrooms have been meticulously updated with contemporary conveniences to reflect the Château’s unique architecture and meet the needs of discerning travelers. Additional renovations include Fairmont Gold, the Château’s boutique hotel product; the main lobby, which highlights preserved signature pieces and the restoration of historic details; a heightened and transformed culinary experience introducing three new concepts; the renovation of its historic meeting rooms, bringing the total meeting space to 40,000 square feet; and a newly built Spa du Château featuring seven treatment rooms, offering exquisite signature treatments and a renovated and expanded health club. The hotel continues its tradition of defining luxury and delivering unmatched hospitality with a new contemporary spirit respectful of its history. 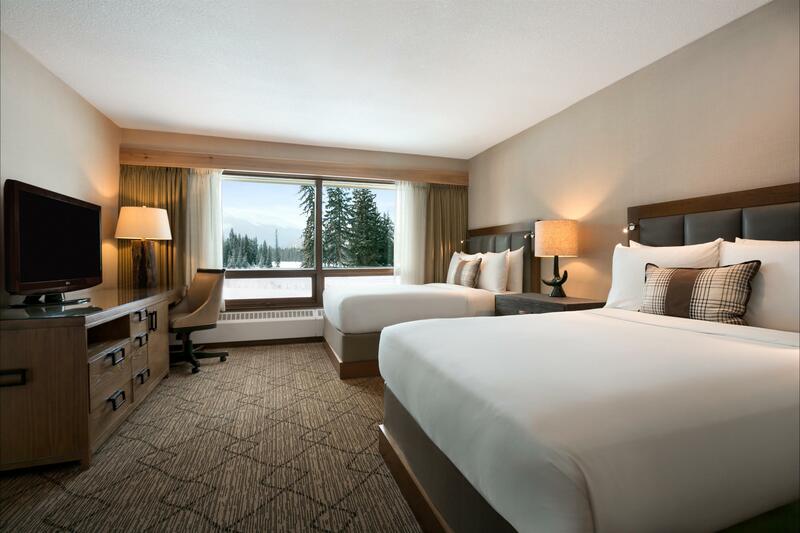 In 2014, Fairmont Jasper Park Lodge began a remarkable three-year renovation journey touching almost every area of the resort and further enhancing the guest experience for many years to come. The $16 million dollar restoration will pay homage to the hotel’s beautiful surroundings, original inhabitants, the historical beginnings of tourism in Jasper National Park and the Canadian Rockies, and create a rustic elegant getaway for guests. This substantial investment and grand vision is another milestone in the rich history of Fairmont Jasper Park Lodge. In support of these key restoration projects, Fairmont Hotels & Resorts recently released key findings from its Luxury Insights Report: Stewardship of Iconic and Historic Buildings, part of a new series of research-led, data-driven reports focused on current trends in luxury travel. This inaugural volume reveals the vital importance of emotional fulfillment, place identity (the psychological connection to a destination) and cultural immersion in the decision-making process of luxury travelers worldwide. Fairmont’s first Luxury Insights Report explores the role of architecture, property development, and thoughtful preservation and restoration as emotional drivers that influence purchase decision. The full report can be downloaded here. 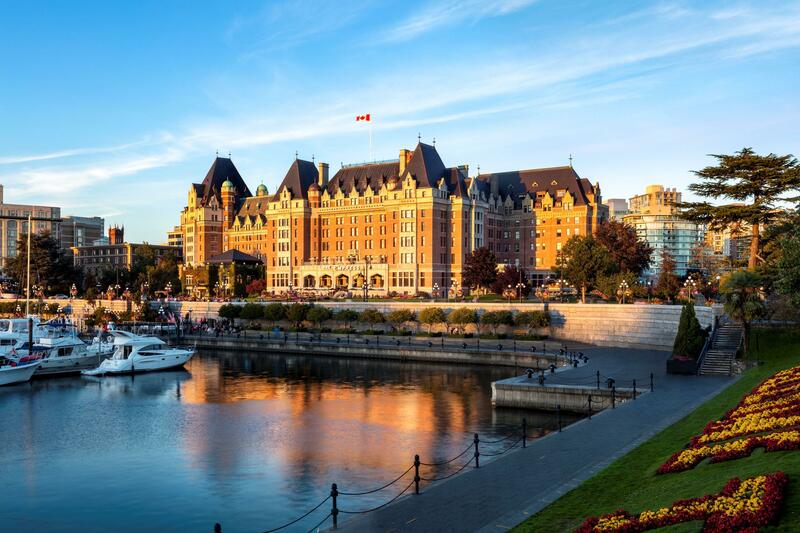 Fairmont Hotels & Resorts connects guests to the very best of its destinations, providing travelers with memorable travel experiences, thoughtful and attentive service and luxury hotels that are truly unforgettable. Each Fairmont property reflects the locale’s energy, culture and history through locally inspired cuisine, spirited bars and lounges and distinctive design and decor. With more than 70 hotels globally, and many more in development, the Fairmont collection boasts some of the most iconic hotels in the world, including The Plaza in New York, The Savoy in London, Fairmont Peace Hotel in Shanghai and Fairmont Le Château Frontenac in Québec City. Fairmont is owned by FRHI Hotels & Resorts, a leading global hotel company that operates more than 130 hotels and branded residential properties under the Raffles, Fairmont and Swissôtel brands. For more information or reservations, please visit fairmont.com. Become a fan of Fairmont. Follow us on Facebook, Twitter, Instagram, Pinterest, and Fairmont Moments.